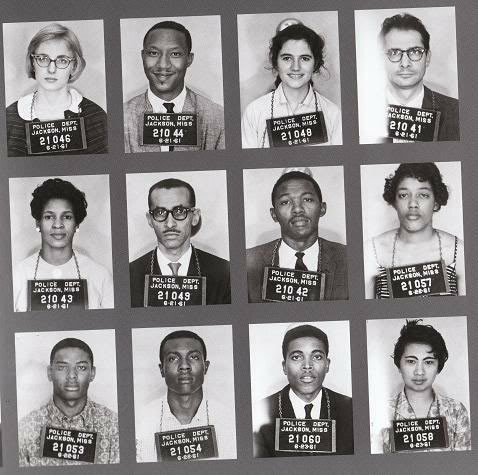 Freedom riders were civil rights activists who rode interstate buses into the segregated southern United States to test the United States Supreme Court decision Boynton v. Virginia (of 1960). The first Freedom Ride left Washington, D.C., on May 4, 1961, and was scheduled to arrive in New Orleans on May 17. Boynton v. Virginia had outlawed racial segregation in the restaurants and waiting rooms in terminals serving buses that crossed state lines. Five years prior to the Boynton ruling, the Interstate Commerce Commission had issued a ruling inSarah Keys v. Carolina Coach Company that had explicitly denounced the Plessy v. Ferguson doctrine of separate but equal in interstate bus travel, but the ICC had failed to enforce its own ruling, and thus Jim Crow travel laws remained in force throughout the South. The Freedom Riders set out to challenge this status quo by riding various forms of public transportation in the South to challenge local laws or customs that enforced segregation. The Freedom Rides, and the violent reactions they provoked, bolstered the credibility of the American Civil Rights Movement and called national attention to the violent disregard for the law that was used to enforce segregation in the southern United States. Riders were arrested for trespassing, unlawful assembly, and violating state and local Jim Crow laws, along with other alleged offenses. Most of the subsequent rides were sponsored by the Congress of Racial Equality (CORE), while others belonged to the Student Nonviolent Coordinating Committee (SNCC, pronounced "Snick"). The Freedom Rides followed on the heels of dramatic sit-ins against segregated lunch counters conducted by students and youth throughout the South and boycotts beginning in 1960.